Whether for business or home use, your outdoor patio heaters will help you and your guests to enjoy the outdoors longer, even when the weather begins to turn cold. When it comes to maintaining your investment in outdoor ambiance, you should insist on regular checks and service as well as high-quality repair work. Here at AEI, we endeavor to provide you with the best in customer service and replacement parts on all of the outdoor heating appliances we sell. Replacing worn and broken parts and performing regular inspections and maintenance will significantly increase the life of your heaters. These are all common problems that are to be expected in time with normal use. Most of these problems can be easily remedied, while others may require more in-depth repair work. Performing regular maintenance and care will reduce the need to repair and replace parts on your heaters. Regular upkeep will prologue the life of your heaters, and help to keep them running safely, and at maximum capacity. Check the gas cylinder on a regular basis to make sure the unit has fuel. Running out of fuel can damage the starter mechanism if it occurs too often. If the fuel cylinder is full, but the unit still does not lite, the ignition system may need repair or replacement- either in whole or in part. Listen to the burner for a hissing gas sound. If you hear gas moving into the burner, your igniter is the source of the problem. Heaters equipped with an electric ignition system lite the fuel with a spark. If you see a spark, but the heater does not lite, there may be a blockage stopping the fuel from reaching the spark. If this is the case, you can try to lite the unit using a butane lighter. If this does not work, and the cylinder unit contains fuel- then the fuel delivery line may be clogged or disconnected. You should check the ignition system regularly for soot, corrosion, and damage. If you use your heaters to accommodate customers in outdoor patio areas, it is best to perform your checks early in the day before you need to make use of your heating units. This way, you will have more time to remedy any mechanical problems and keep your guests comfortable. When inspecting and repairing the ignition system for your outdoor heaters, make sure the fuel delivery system is in the off position to avoid accidental ignition. The second most maintenance intensive component of your Ambiance and Sunglo outdoor heaters is the fuel regulator. 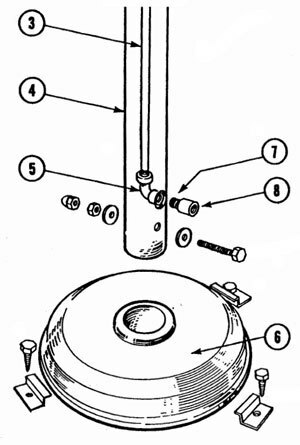 This is a pipe which serves as the connection between the fuel cylinder and the burner unit. This component should be inspected on a regular basis to ensure that is is not damaged or clogged. You should check for breaks, corrosion, blockages, and perforation. If your fuel regulator is damaged, it could fail to deliver fuel to the ignition. In some rare cases, fuel may ignite outside the unit if you attempt to lite the heater while the cylinder or regulator is compromised in any way. Such an event can be serious- but it is highly unlikely, and can be avoided with regular care and maintenance. Finally, it is very important to check and clear the gas pipe regularly. While unusual, gas pipes on outdoor heaters can become clogged. This component should be removed and inspected after long periods of storage and at least once per season of use. Serious problems can result from blockages of the gas pipe if the part is not inspected and cleaned regularly. The best way to do this is to remove the pipe and blow air through it. You should do this when the heater is new so that you have a good idea what air moving through a clear pipe feels like. Any blockages should come out easily. Stubborn blockages can be remedied by flushing the pipe with hot water. Be sure to dry the part completely before reinstalling it. Patio heaters are simple, and tend to be very reliable, however, due to the nature of these heating appliances- regular care is required to obtain safe and optimal usage. Replacing any old or worn components is a good way to obtain the best return on your investment over time. Proper care will keep your heaters running efficiently and safely. Replacing any worn or broken parts will increase the life of your heater, and help to ensure your heaters remain a reliable source of warmth and comfort. If you need a copy of your heater's owner manual, we have digital versions available below. Please feel free to contact us with any questions. 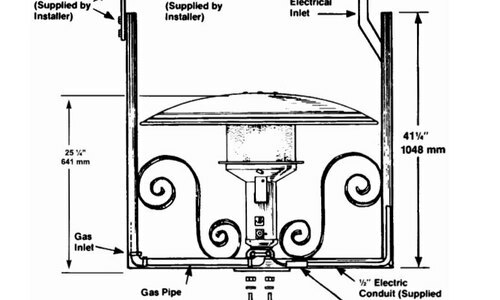 Patio heater owner manuals by maker: Patio Comfort, Sunglo, Sunpak, Ambiance.